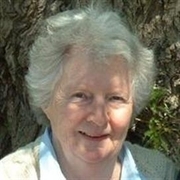 Margaret Yorke was born in Surrey, but lived in Dublin until 1937, when she moved back to England. During World War II, she served in the Wrens (Women's Royal Naval Service) as a driver. She then worked in the libraries of two Oxford colleges, the first woman ever to work in Christ Church library. Her first novel was published in 1957, and her books have since been translated and published in 16 countries. In 1993, she won the Golden Handcuffs Award, which is given in recognition of the popularity of the country's leading crime writer within the library service and its borrowers. The Times said of her work, "Margaret Yorke's talent for scratching below the placid surface of people and places to reveal anguish and wickedness is matchless." Margaret Yorke is currently considered a "single author." If one or more works are by a distinct, homonymous authors, go ahead and split the author. Margaret Yorke is composed of 3 names. You can examine and separate out names.